Below you fill find all funeral homes and cemeteries in or near Zearing. Zearing is also known as: Story County / Zearing city. Zip codes in the city: 50278. It was written by Des Moines Register on January 11th, 2019 that Dennis "Denny" Kjarland perished in Zearing, Iowa. Kjarland was 75 years old. Send flowers to share your condolences and honor Dennis "Denny"'s life. It was written by Des Moines Register on January 3rd, 2019 that Darlene Roberts passed on in Zearing, Iowa. Roberts was 81 years old. Send flowers to share your condolences and honor Darlene's life. It was noted by Des Moines Register on November 10th, 2018 that Troy Yearous passed away in Zearing, Iowa. Yearous was 29 years old. Send flowers to express your sorrow and honor Troy's life. It was disclosed by Des Moines Register on October 27th, 2018 that Lois Rule passed away in Zearing, Iowa. Rule was 86 years old. Send flowers to share your condolences and honor Lois's life. It was reported by Des Moines Register on October 4th, 2018 that Norma Jean Bailey died in Zearing, Iowa. Bailey was 78 years old. Send flowers to express your sorrow and honor Norma Jean's life. It was disclosed by Des Moines Register on May 24th, 2018 that Bernetta Woster passed away in Zearing, Iowa. Woster was 88 years old. Send flowers to share your condolences and honor Bernetta's life. It was written by Des Moines Register on November 10th, 2017 that Lucile "Luci" Reed passed away in Zearing, Iowa. Reed was 83 years old. Send flowers to express your sorrow and honor Lucile "Luci"'s life. It was reported by Des Moines Register on June 16th, 2017 that David Phillips passed away in Zearing, Iowa. Phillips was 73 years old. Send flowers to share your condolences and honor David's life. It was disclosed by Des Moines Register on May 26th, 2017 that John Pickering died in Zearing, Iowa. Send flowers to express your sympathy and honor John's life. It was written by Des Moines Register on May 15th, 2017 that Marie Loney (Wolfe) passed away in Zearing, Iowa. Ms. Loney was 90 years old. Send flowers to express your sympathy and honor Marie's life. 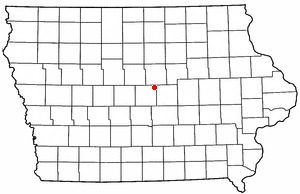 Zearing is a city in Story County, Iowa County, Iowa, United States. The population was 617 at the 2000 census. Zearing was formed out of Lincoln Township, being founded on October 17, 1881 and incorporated on February 6, 1883. It was named for William Mitchell Zearing, a judge from Chicago who donated a bell to the first church in the community. . .
Fredregill Funeral Home in Zearing, Iowa is in charge of the arrangements. Listing all funeral homes in Zearing, Iowa so you can easily send flowers to any location (same day delivery) or find any funeral service. The finest roses, gifts and Mother's Day flowers delivered fresh. Serving Zearing, Iowa, surrounding suburbs and the entire country. We work with local florists and flower shops to offer same day delivery. You will find budget sympathy flowers in Zearing here. Our funeral flowers are cheap in price but not in value.